Welcome to greenelectricsolarsolutions.com. These Terms of Service (the "Terms") are a binding legal agreement between you and Green Electric Solar Solutions ("Green Electric Solar Solutions" or "we"), regarding your use of our website (www.greenelectricsolarsolutions.com) and our services, including our services available through our online tools or other applications (the website and services are collectively referred to as the "Service"). Please read these Terms carefully. In addition, when using certain features of the Service, such as any downloadable software applications and the Credit Tool that we make available, you also will be subject to any additional guidelines, terms, or agreements applicable to such features ("Policies"). All such Policies are incorporated by reference into these Terms. If these Terms are inconsistent with any Policy, the terms in the Policy will control. We may periodically make changes to these Terms. By accessing or using the Service or downloading and installing the application, you accept these Terms and any modifications that we may make to these Terms. It is your responsibility to review the most recent version of the Terms frequently and remain informed of any changes to it. If you continue to use the Service after we modify these Terms, you will be deemed to have consented to terms of the modified Agreement for your use of the Service as of the date of the modification. If you do not agree with any provision of these Terms, you must not use the Service. Green Electric Solar Solutions provides a simple and affordable option for homeowners who want to switch to solar energy. Homeowners can receive free quotes for home solar solutions. Green Electric Solar Solutions partners with top PV panel installation companies to install solar systems. Green Electric Solar Solutions monitors the performance of your system and provides full insurance and a money-back performance guarantee. Green Electric Solar Solutions delivers an assortment of services through the customer website, including the ability for customers to pay their Green Electric Solar Solutions bill and view the output of their solar power system. You must be 18 years of age or older to use the Service. Use of the Service is void where prohibited. You represent and warrant that any profile information you submit is true and accurate and that you are 18 years of age or older and are fully able and competent to enter into and abide by these Terms. The Services are not intended for those under the age of 18. If you have entered into a Solar Power Purchase Agreement or Lease Agreement with Green Electric Solar Solutions ("Green Electric Solar Solutions Customer"), you must register for an online account to use certain features of the Service. You may be required to provide billing or additional information. When you register, you agree to (a) provide accurate, current and complete information about you as may be prompted by registration forms on the Service ("Registration Data"); (b) maintain the security of any logins, passwords, or other credentials that you select or that are provided to you for use on the Service; and (c) maintain and promptly update the Registration Data, and any other information you provide to us, and to keep all such information accurate, current, and complete. You will notify us immediately of any unauthorized use of your account or any other breach of security by emailing us at info @ greenelectricsolarsolutions.com. You may use the Service to pay invoices from Green Electric Solar Solutions, including your monthly invoice for your lease or your electricity production, either an estimated amount or the actual amount generated. Green Electric Solar Solutions reserves the right to implement fees or change the fees for certain Services at any time by providing you notice on the Service or otherwise. If Green Electric Solar Solutions does not receive payment from your credit card provider or bank, you agree to pay all amounts due upon demand, and Green Electric Solar Solutions may suspend your access to the Service in addition to any other remedies Green Electric Solar Solutions may have under this Agreement or the Solar Power Service Agreement. Green Electric Solar Solutions reserves the right to correct any errors or mistakes that it makes even if it has already requested or received payment. You are solely responsible for any and all fees charged to your credit card by the issuer, bank, or financial institution including, but not limited to, membership, overdraft, insufficient funds, and over the credit limit fees. You agree to notify us about any billing problems or discrepancies within 90 days after they first appear on your account statement. If you do not bring them to our attention within 90 days, you agree that you waive your right to dispute such problems or discrepancies. All sales are final and Green Electric Solar Solutions will not issue refunds. As a part of the Service, we may email or provide you offers and other specials from Green Electric Solar Solutions or from third parties (collectively "Promotions"). Promotions may expire, and are otherwise subject to change without notice. 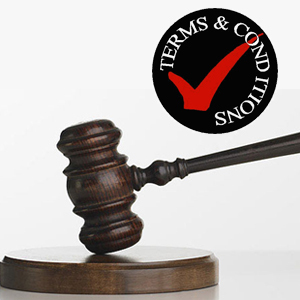 We have no control over their legality or the ability of any third-party to complete a Promotion (including the sale in accordance with the offer). Depending on your user settings and what information you provide us, Green Electric Solar Solutions may help you monitor your home solar power system by providing you with data, including statistics about your solar power system, projections about future usage, or statistics about your monthly invoices ("Data"). While the Data may represent how your solar system is functioning, the Data is not strictly used in the calculation of your monthly invoices. Also, some of the Data may not post to the Service immediately (e.g., your system output). Any Data on the Service is for informational purposes only. Green Electric Solar Solutions does not confirm the accuracy of any Data posted to the Service. Green Electric Solar Solutions is not responsible for your use of the Data. Green Electric Solar Solutions may provide you the opportunity to run a credit report through a third party ("Credit Tool"). To use the Credit Tool, you must enter certain personal information, including financial information. By using the Credit Tool, you consent to Green Electric Solar Solutions using your consumer report to help determine if you qualify for certain features of the Service. You will not: (a) use the Service for any commercial purpose (unless you have entered into a separate agreement with Green Electric Solar Solutions expressly permitting commercial use); (b) use the Service to "stalk" or harass any person; (c) access, monitor, or copy any content or information on the Service using any robot, spider, scraper, or other automated means or any manual process, including phishing, for any purpose without our express written permission; (d) violate the restrictions in any robot exclusion headers on the Service or bypass or circumvent other measures employed to prevent or limit access to the Service; (e) take any action that imposes, or may impose, in our discretion, an unreasonable or disproportionately large load on our infrastructure; (f) "frame," "mirror," or otherwise incorporate any part of the Service into any other website without our prior written authorization; or (g) intentionally or unintentionally violate any applicable local, state, national, or international law or regulation. ANY MATERIAL THAT YOU SUBMIT OR UPLOAD TO PUBLIC OR COMMON AREAS OF THE SERVICE, INCLUDING PHOTOGRAPHS OF YOURSELF OR YOUR HOUSE, WILL BE PUBLICLY AVAILABLE. ALSO ANY MATERIAL YOU SUBMIT THROUGH OUR SOCIAL MEDIA SHARING FEATURES MAY BE PUBLICALLY AVAILABLE ON THE SERVICE. IF YOU DO NOT WANT ANY MATERIAL TO BE AVAILABLE TO OTHERS, DO NOT UPLOAD THAT MATERIAL TO ANY PUBLIC OR COMMON AREA OF THE SERVICE AND DO NOT SUBMIT THAT MATERIAL THROUGH OUR SOCIAL MEDIA SHARING FEATURES. If you post material on or through the Service, then, unless we indicate otherwise, you: (a) grant us and our subsidiaries and affiliates a nonexclusive, royalty-free, perpetual, irrevocable, and fully sublicensable right to use, reproduce, modify, adapt, publish, translate, create derivative works from, distribute, perform, and display such material throughout the world in any media; (b) grant us and our affiliates, subsidiaries, and sublicensees the right to use the name that you submit in connection with such material, if we choose; and (c) represent and warrant that you own and control all of the rights to the material that you post, or you otherwise have the right to post such material to the Service; and the use and posting of material you supply does not violate these Terms, will not violate any rights of or cause injury to any person or entity, and will not otherwise create any harm or liability of any type for us or for third parties. You acknowledge and agree that Green Electric Solar Solutions may preserve any profile data, photographs, and other content ("Content") and may also disclose Content if required to do so by law or if Green Electric Solar Solutions believes in good faith that such preservation or disclosure is reasonably necessary to: (a) comply with legal process; (b) enforce these Terms; (c) respond to claims that any Content violates the rights of third parties; or (d) protect the rights, property, or personal safety of Green Electric Solar Solutions, its users or the public. Green Electric Solar Solutions reserves the right to modify, discontinue, and restrict, temporarily or permanently, all or part of the Service without notice in our sole discretion. Neither we nor our suppliers or licensors will be liable to you or to any third party for any modification, discontinuance, or restriction of the Service. Your online account remains in effect unless you cancel it or unless Green Electric Solar Solutions terminates your account as provided by these Terms. To terminate your online account, please email Green Electric Solar Solutions at info@greenelectricsolarsolutions.com You may not terminate your written Solar Power Purchase Agreement or Lease Agreement by emailing Green Electric Solar Solutions. Notwithstanding any provision of these Terms, we reserve the right, without notice and in our sole discretion, to terminate your account and to block, restrict, and prevent your future access to, and use of, the Service. Any materials, including but not limited to comments, suggestions, ideas, or other information, provided by you in the form of email or other submissions to us (excluding material that you post on the Service in accordance with these Terms) (collectively "Feedback"), are non-confidential and you hereby grant to us and our subsidiaries and affiliates a nonexclusive, royalty-free, perpetual, irrevocable, and fully sublicensable right to use your Feedback for any purpose without compensation or attribution to you. We respect the intellectual property rights of others, and ask you to do the same. It is our policy to terminate the access privileges of those who repeatedly infringe the copyright rights of others. If you believe that your work has been posted on the Service in a way that constitutes copyright infringement, please contact us at the address below and provide the following information: (1) an electronic or physical signature of the person authorized to act on behalf of the owner of the copyright interest; (2) a description of the copyrighted work that you claim has been infringed, and identification of the time(s) and date(s) the material that you claim is infringing was displayed on the Service; (3) your address, telephone number, and email address; (4) a statement by you that you have a good faith belief that the disputed use is not authorized by the copyright owner, its agent, or the law; and (5) a statement by you, made under penalty of perjury, that the above information in your notice is accurate and that you are the copyright owner or authorized to act on the copyright owner's behalf. If you believe that your user content that was removed (or to which access was disabled) is not infringing, or that you have the authorization from the copyright owner, the copyright owner's agent, or pursuant to the law, to post and use the content in your user content, you may send a counter-notice containing the following information to the copyright agent: (1) Your physical or electronic signature; (2) identification of the content that has been removed or to which access has been disabled and the location at which the content appeared before it was removed or disabled; (3) a statement that you have a good faith belief that the content was removed or disabled as a result of mistake or a misidentification of the content; and (4) your name, address, telephone number, and e-mail address, a statement that you consent to the jurisdiction of the federal court in San Francisco, California and a statement that you will accept service of process from the person who provided notification of the alleged infringement. If a counter-notice is received by the copyright agent, we may send a copy of the counter-notice to the original complaining party informing that person that it may replace the removed content or cease disabling it in 10 business days. Unless the copyright owner files an action seeking a court order against the content provider, member or user, the removed content may be replaced, or access to it restored, in 10 to 14 business days or more after receipt of the counter-notice, at our sole discretion. Green Electric Solar Solutions, the Green Electric Solar Solutions logo, and any other product or service name or slogan contained on the Service are trademarks or registered trademarks of Green Electric Solar Solutions and its suppliers or licensors, and may not be copied, imitated or used, in whole or in part, without the prior written permission of the applicable trademark holder. All other trademarks, registered trademarks, product names and company names or logos mentioned on the Service are the property of their respective owners. Reference to any products, services, processes or other information, by trade name, trademark, manufacturer, supplier or otherwise, does not constitute or imply endorsement, sponsorship, or recommendation thereof by us, or vice versa. The Service may contain links to Web pages and content of third parties ("Third-Party Content") as a service to those interested in this information. We do not monitor, endorse, or adopt, or have any control over, any Third-Party Content. We undertake no responsibility to update or review any Third-Party Content and can make no guarantee as to its accuracy or completeness. You will defend, indemnify and hold harmless Green Electric Solar Solutions, its subsidiaries, affiliates, partners and third-party advertisers and their respective directors, officers, agents, employees, licensors, and suppliers from and against any costs, damages, expenses, and liabilities (including, but not limited to, reasonable attorneys' fees) arising out of or related to your use of the Service, your violation of these Terms, or your violation of any rights of a third party. YOUR USE OF THE SERVICE, INCLUDING, WITHOUT LIMITATION, YOUR USE OF ANY CONTENT ACCESSIBLE THROUGH THE SERVICE AND YOUR INTERACTIONS AND DEALINGS WITH ANY SERVICE USERS, IS AT YOUR SOLE RISK. THE SERVICE, AND ALL CONTENT AVAILABLE ON AND THROUGH THE SERVICE ARE PROVIDED ON AN "AS IS" AND "AS AVAILABLE" BASIS. Green Electric Solar Solutions AND ITS SUPPLIERS AND LICENSORS EXPRESSLY DISCLAIM ALL WARRANTIES OF ANY KIND, WHETHER EXPRESS OR IMPLIED, INCLUDING BUT NOT LIMITED TO THE IMPLIED WARRANTIES OF MERCHANTABILITY, FITNESS FOR A PARTICULAR PURPOSE, TITLE, AND NON-INFRINGEMENT. Green Electric Solar Solutions DOES NOT WARRANT UNINTERRUPTED USE OR OPERATION OF THE SERVICE OR YOUR ACCESS TO ANY CONTENT. NO ADVICE OR INFORMATION, WHETHER ORAL OR WRITTEN, OBTAINED BY YOU FROM THE SERVICE WILL CREATE ANY WARRANTY REGARDING Green Electric Solar Solutions THAT IS NOT EXPRESSLY STATED IN THESE TERMS. SOME JURISDICTIONS MAY PROHIBIT A DISCLAIMER OF WARRANTIES AND YOU MAY HAVE OTHER RIGHTS THAT VARY FROM JURISDICTION TO JURISDICTION. WITHOUT LIMITING THIS SECTION, Green Electric Solar Solutions MAKES NO WARRANTIES WHATSOEVER, EXPRESS OR IMPLIED, REGARDING THE ACCURACY, COMPLETENESS, TIMELINESS, OR USEFULNESS OF ANY INFORMATION CONTAINED OR REFERENCED IN THE SERVICE, INCLUDING ANY DATA. TECHNOLOGY CHANGES FREQUENTLY AND THEREFORE INFORMATION CONTAINED ON THE SERVICE MAY BE OUTDATED, INCOMPLETE OR INCORRECT. Green Electric Solar Solutions DOES NOT ASSUME ANY RISK WHATSOEVER FOR YOUR USE OF THE SERVICE OR THE DATA CONTAINED ON THE SERVICE. NEITHER Green Electric Solar Solutions NOR ITS SUPPLIERS OR LICENSORS WILL BE LIABLE FOR ANY INDIRECT, INCIDENTAL, SPECIAL, CONSEQUENTIAL, OR EXEMPLARY DAMAGES, INCLUDING, WITHOUT LIMITATION, DAMAGES FOR LOSS OF PROFITS, GOODWILL, USE, DATA, OR OTHER INTANGIBLE LOSSES (EVEN IF Green Electric Solar Solutions OR ANY SUPPLIER OR LICENSOR HAS BEEN ADVISED OF THE POSSIBILITY OF THESE DAMAGES), ARISING OUT OF OR RELATING TO YOUR ACCESS TO OR USE OF, OR YOUR INABILITY TO ACCESS OR USE, THE SERVICE OR ANY CONTENT. SOME JURISDICTIONS DO NOT ALLOW THE EXCLUSION OR LIMITATION OF LIABILITY FOR CONSEQUENTIAL OR INCIDENTAL DAMAGES, SO THE ABOVE LIMITATION MAY NOT APPLY TO YOU. THE MAXIMUM TOTAL LIABILITY OF Green Electric Solar Solutions AND ITS SUPPLIERS AND LICENSORS TO YOU FOR ALL CLAIMS UNDER THESE TERMS, WHETHER IN CONTRACT, TORT, OR OTHERWISE, IS $100. EACH PROVISION OF THESE TERMS THAT PROVIDES FOR A LIMITATION OF LIABILITY, DISCLAIMER OF WARRANTIES, OR EXCLUSION OF DAMAGES IS TO ALLOCATE THE RISKS UNDER THESE TERMS BETWEEN THE PARTIES. THIS ALLOCATION IS AN ESSENTIAL ELEMENT OF THE BASIS OF THE BARGAIN BETWEEN THE PARTIES. EACH OF THESE PROVISIONS IS SEVERABLE AND INDEPENDENT OF ALL OTHER PROVISIONS OF THESE TERMS. THE LIMITATIONS IN THIS SECTION WILL APPLY EVEN IF ANY LIMITED REMEDY FAILS OF ITS ESSENTIAL PURPOSE. These Terms, including all Policies, constitute the entire agreement between you and Green Electric Solar Solutions concerning the Service. These Terms supersede all prior agreements or communications between you and Green Electric Solar Solutions regarding the subject matter of these Terms.